There’s nothing like the great taste of boneless, skinless salmon and if we could eat it everyday I think we would. Grilling salmon is a great way to prepare it but there are alternative methods to cook this perfect seafood. Drizzling salmon pieces with balsamic glaze offers a nice taste and heighten the seafood experience. Seared salmon with balsamic glaze on confetti pasta provides a full meal, using one pan. I also love this because if it were cooked via a broiler it would take longer, so my method has this cooked in 70% less time than conventional methods of cooking. Lavishly live seared salmon with balsamic glaze on confetti pasta out loud in this fabulous recipe. Get ready to save time in the kitchen and create artisan-like salmon. It’s a healthy meal, offering you seafood and a few carbs. The Balsamic Glaze gives the perfect finish to a seared piece of salmon. It’s easy to create and ready for you! Make sure you grab the ingredients and print the recipe at the end of this post, so you can recreate this delicious food in your home. Nonstick spray to coat pan. Prepare pan with a coating of nonstick spray, add pasta, water and use in Hot Pot Mode at 1200° for 2:50. Remove from heat, drain, rinse, mix with veggies. Step #3 Balsamic Glaze Preparation. Make sure to use the listed recipe, it’s fast and easy. Balsamic glaze You can print recipe if you touch Balsamic Glaze. In pan place avocado oil and garlic, Cook on Fry at 400° allowing garlic to lightly brown. Remove garlic temporarily using a spoon to remove. Place salmon in the pan, replace garlic to top of salmon, place lid on top and allow cooking on each side of about 2 1/2 minutes per side equaling 5 minutes total. When Salmon is completed, place the salmon on top of the confetti Pastina mixture an dust with Italian flavored breadcrumbs. Drizzle with Balsamic Glaze. Place the following into pan: celery, olive oil, pepper, avocado oil and water. Cook vegetables together on 400° on fry setting for 5 minutes, watch carefully turning as to not burn. Prepare pan with a coating of nonstick spray, add pasta, water and use in Hot Pot Mode at 1200° for 2:50. Remove from heat, drain, rinse, mix with veggies. In pan place vinegar and brown sugar together, and mix well until brown sugar is fully dissolved. For the first 3 minutes use Hot Pot Setting at 500° and then, once sugar is dissolved, it is time to thicken, back the Hot Pot Setting to 250°for the last 5 minutes allowing this to thicken. Balsamic Glaze is ready when it begins to stick to the back of the spoon. Do stir frequently and do not allow it to boil. In pan place avocado oil and garlic, Cook on Fry at 400° allowing garlic to lightly brown. Remove garlic temporarily using a spoon to remove. 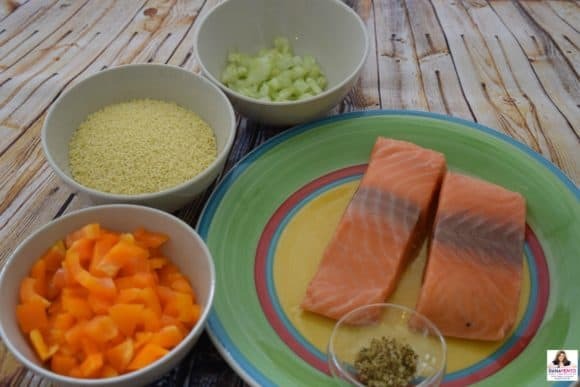 Place salmon in the pan, replace garlic to top of salmon, place lid on top and allow cooking on each side of about 2 1/2 minutes per side equaling 5 minutes total. 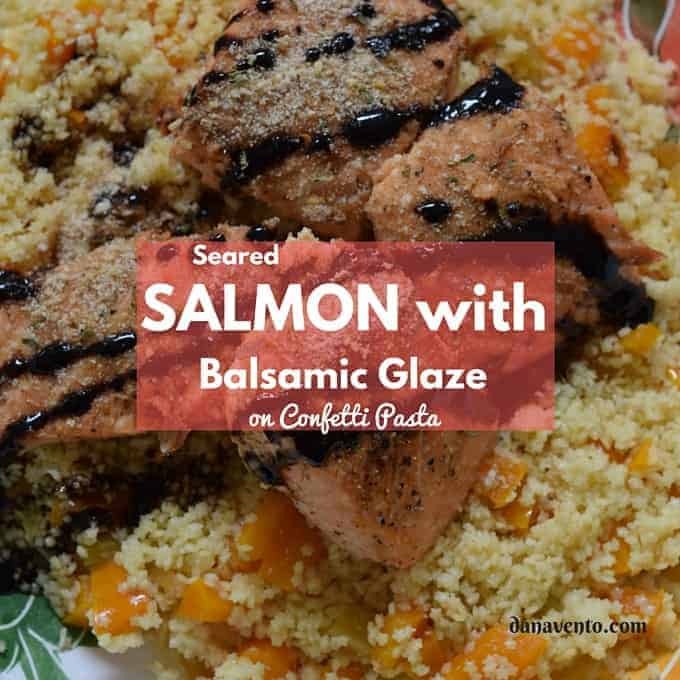 When Salmon is completed, place the salmon on top of the confetti Pastina mixture an dust with Italian flavored breadcrumbs. The magic behind this food is the “Induction Cooker Cooktop” that I used. In fact, it makes food so fast, that I hardly blink my eyes and it is done! If you are at all familiar with “induction cooking”, you know that it is fast, easy and so effective because of the even heat that is provided. Induction Cooker Cooktop with a stainless steel pan. There are many different settings you can use in order to prepare this dish, however, this is the one that worked best for me. Try out the other settings you might find one you like better and tell me what you used! 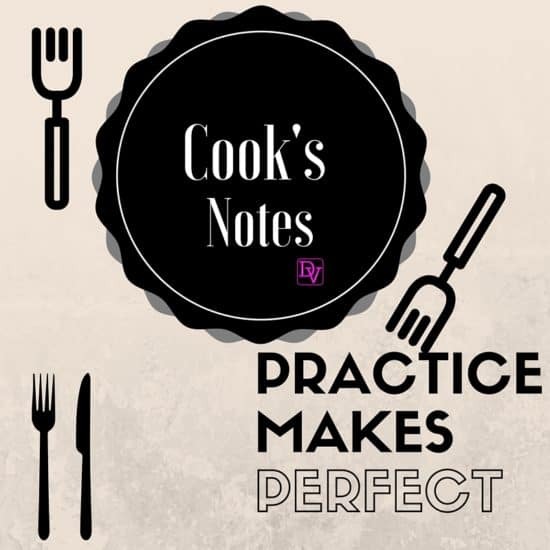 I love hearing who uses what settings to get the most lavishly prepared foods. It’s easy to prepare great foods fast, you just need a little inspiration. My recipes are all printable, so make sure to print your copy and test it out. If you find new ingredients, shoot me a comment, I would love to hear from you. Lavishly life food out loud with my recipe for seared salmon and balsamic glaze atop confetti pasta. Affiliate links contained within, story, recipes, and images are my own, as I lavishly life food out loud. This post makes me hungry! It looks insanely good and healthy! will definitely try this recipe one of these days. Thanks for sharing! Salmon is one of my favorites! This looks great! Lindsay recently posted..4TH of JULY Food, Treats, Decor & More! I haven’t had salmon in quite awhile. I will have to try them again. I loved the ones in Alaska! This sounds absolutely delicious! I love balsamic and I bet it tastes great! How fresh does this salmon look? I bet my fish loving friends would love it and the balsamic glaze is something I might adapt myself. Oh gosh I love salmon. I really, really like salmon. 🙂 It’s healthy and yet delicious. That looks so delicious. I just bought a few slices of salmon yesterday. I will try your recipe. Good tip on temporarily removing the garlic. I wish I’d have thought of that a million times. The recipe sounds good! I’ m not a fan of salmon but this could also taste great on chicken. 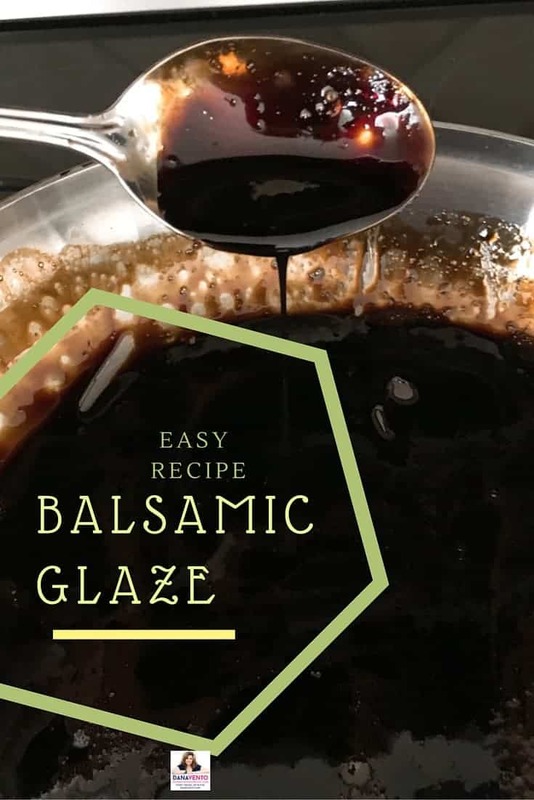 I love balsamic and a glaze version sounds delicious. I want to try this recipe. I love eating salmon and it sounds a nice dish! Salmon is one of my favorites and I always look forward to recipes that let me enjoy it more. This looks so good and it’s nice because it has a lot of veggies too. I like that you also served it with pasta! I have been getting bored with my usual recipes lately. This looks delicious and I think everyone would love it here. I just got some fresh salmon and it would be nice to be able to copy this recipe! I really think it will go well with the balsamic glaze! I am going to have to try this! This looks really really good ! Looks delicious! I love salmon. Gotta be honest, salmon isn’t my favorite, but I could definitely try it with chicken! Ow wow! my tummy is literally growling now haha I just want to reach into the picture and try some. It looks so so good. YUM!!! I’m relatively new to eating salmon and really need a recipe like this to try! It seems simple and with minimal time and ingredients. Plus, it does sound delicious! This is a marvelous recipe! I can tell because I can smell it in my mind’s nose!! Actually, I have paired these ingredients together in the past and I know they are very successful!! Thanks so much! I like salmon and your dish looks delicious. I can’t wait to try this at home. The balsamic glaze looks fantastic. Passing on to my fish loving friends. Balsamic is the best, isn’t it? This looks delicious and I love that it’s seared! Salmon and pasta? That sounds like a wonderful combination! Why haven’t I thought of that? I would love to try this recipe. Balsamic vinegar is such a great ingredient – no wonder it used to be a form of currency. 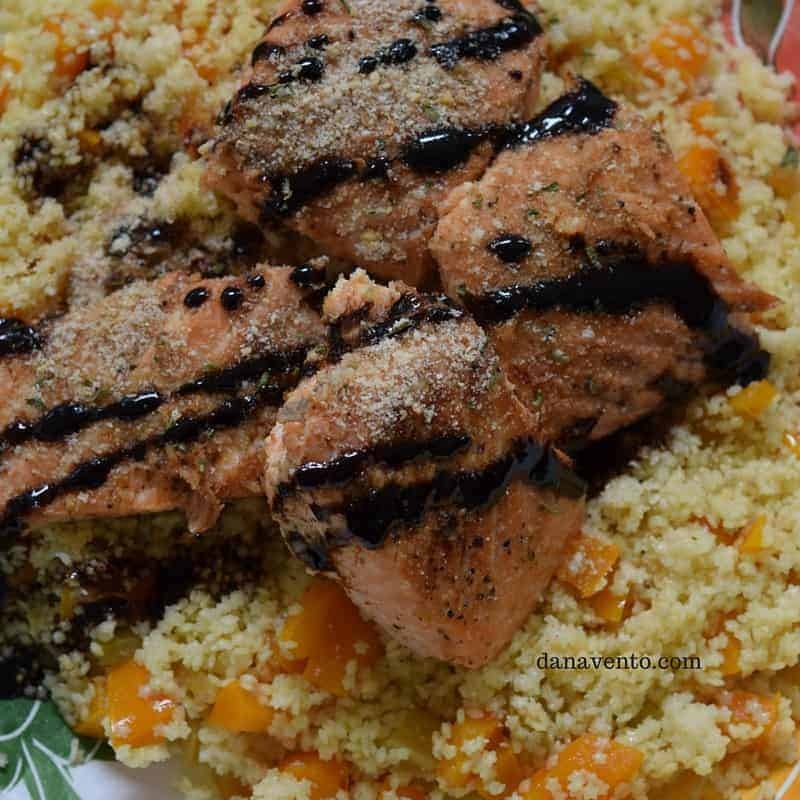 One of those recipes that I can’t wait to pin .. Balsamic and salmon go so well together.